Linda was at Emory University in Atlanta, Georgia for 13 years before coming to William and Mary. While at Emory she served as the Assistant Director and Director of Recreation. 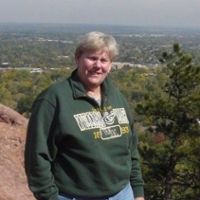 She has been at William and Mary since 1999. When not working Linda loves spending time doing things outdoors. She enjoys traveling, golfing, going to the beach and most outdoor activities. She loves watching football (both college and NFL) and college basketball. She especially loves watching Virginia Tech Hokies’ football.